We'll be building up a list of places of interest local to The Crown and Thistle that registered users can rate. This will help visitors to the area find the best places to go and might even provide some inspiration for us locals too. If you want more information on any of these, why not pop in and see us - we might have some further literature, advice or even discount tickets for some of them. Audley End House (grid reference TL524381) is a largely early 17th-century country house outside Saffron Walden, Essex, England. It was once a prodigy house, a palace in all but name and renowned as one of the finest Jacobean houses in England. Audley End is now one-third of its original size, but is still large, with much to enjoy in its architectural features and varied collections. It is currently in the stewardship of English Heritage and remains the family seat of the Lords Braybrooke. The Audley End Miniature Railway and Enchanted Fairy and Elf Walk is a family day out full of innocent fun and imagination! Spot the many Teddies that live in the woods as you take an exciting trip on one of our Trains. See how many other things you can find on the Audley End Woodland I Spy Sheet too!! Try and find the tiny Fairies and Elves in their Tree Houses as you walk through the Enchanted Woods, make a Fairy Wand or Magic Stick with one of Audley Ends very own Fairy or Elf and tick your I Spy Booklet as you venture through the walk. 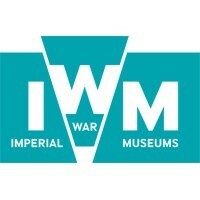 IWM is unique in its coverage of conflicts, especially those involving Britain and the Commonwealth, from the First World War to the present day. We seek to provide for, and to encourage, the study and understanding of the history of modern war and 'wartime experience'. We are proud to be regarded as essential sights of London, Cambridgeshire and Greater Manchester.